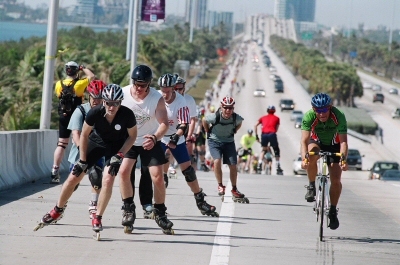 On February 19, 20 and 21, 2010 join hundreds of in-line skaters from around the world for the hippest weekend skate party jammed with beginner, intermediate and advanced skating, beach parties, food, skate tours, night clubbing, prizes and much more! Just click on the links to learn everything you want to know about the event, our cause, our fantastic host hotel - and then register early for the best rates! Proceeds from this event benefit the Police Athletic League (PAL).